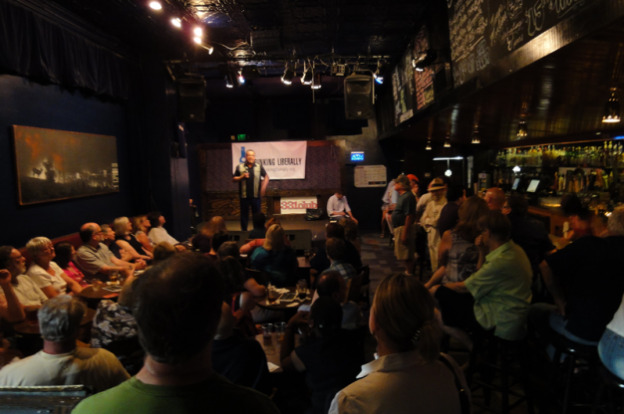 Keith Ellison visits Drinking Liberally and talks about photo voter ID from LEFT MN on Vimeo. The numbers suggest that the legitimate votes rejected by the laws are far more numerous than are the cases of fraud that advocates of the rules say they are trying to prevent. [now, there’s an understatement] Thousands more votes could be in jeopardy for this November, when more states with larger populations are looking to have similar rules in place. But as the congressman says in the video, it isn’t about fraud: it’s about power. Mike Turzai, the Republican leader of the Pennsylvania House of Representatives bragged that photo voter ID would “allow” Mitt Romney to win the state in the fall. The photo voter ID amendment was the subject of our very first LeftMN Radio Hour.